If you’re the kind of person who relies on making to-do lists and taking notes, you likely need a note taking system to organize your notes and keep you organized. 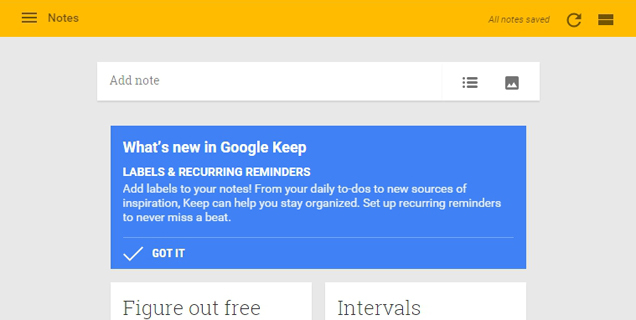 That is why Google has introduced labels for its Keep app on Android. It’s pretty simple concept: you can tag files with labels of your choice ( like shopping list, travel, etc) to make it simple to find later on. In addition to the new label system, the updated app features recurring reminders, which you can set to notify you daily, weekly, monthly or yearly.